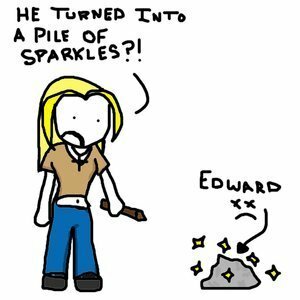 Buffy and Sparkly Edward. (Because there's never enough Buffy kills Edward অনুরাগী art.). Wallpaper and background images in the Critical Analysis of Twilight club tagged: buffy the vampire slayer buffy summers edward cullen stakes pile of sparkles.